Ty’s skating background comes from having spent several years under the instruction of his stepmom Lisa Simmons. Lisa was a very influential part of his decision to become a full-time skating coach. She began her success at a young age by working alongside Hockey Hall of Fame Coach Brian Kilrea of the Ottawa 67’s and NY Islanders. Coach Kilrea is considered by most (including this guy) to be the greatest coach in junior hockey history. He holds the record for most wins in CHL history during his 35-year career coaching and managing the Ottawa 67’s of the Ontario Hockey League. Lisa was the Ottawa 67’s head skating instructor for 10 plus years with Coach Kilrea. She then moved on to working with NHL organizations including the Ottawa Senators and New York Islanders before starting her own business, Upper Canada Power Skating. Ty became her top student and joined her in instruction as he worked his way into Junior and D3 hockey. As Ty has told me his number one passion was always the skating. In being involved with Lisa and Upper Canada Power Skating, Ty watched and learned as Lisa dedicated her time to working with countless Division I, Division III, Major Junior and NHL prospects before her too early passing in November of 2016. Before moving to the Syracuse area in March of 2017, Ty played Juniors and D3 college hockey and became an assistant coach at the Tier III Junior A level with the Lake George Fighting Spirit, as well as the skills and skating coach for the Jr A team and the youth programs owned and operated by his father, Rod Simmons and step-mother Lisa of Simmons Hockey LLC. During that time, Rod, Lisa, and Ty focused their efforts on individual player development and helping athletes reach their goal of collegiate hockey and they were very successful in their endeavors. 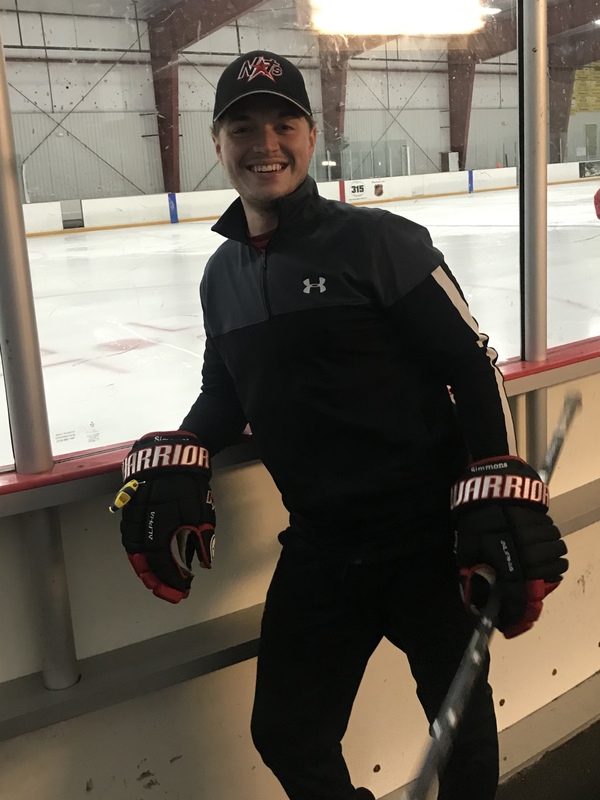 After selling their junior franchise Coach Simmons has spent the last year at the Lysander Hockey Academy as the Head Skating Instructor working with hockey players of all ages throughout CNY.